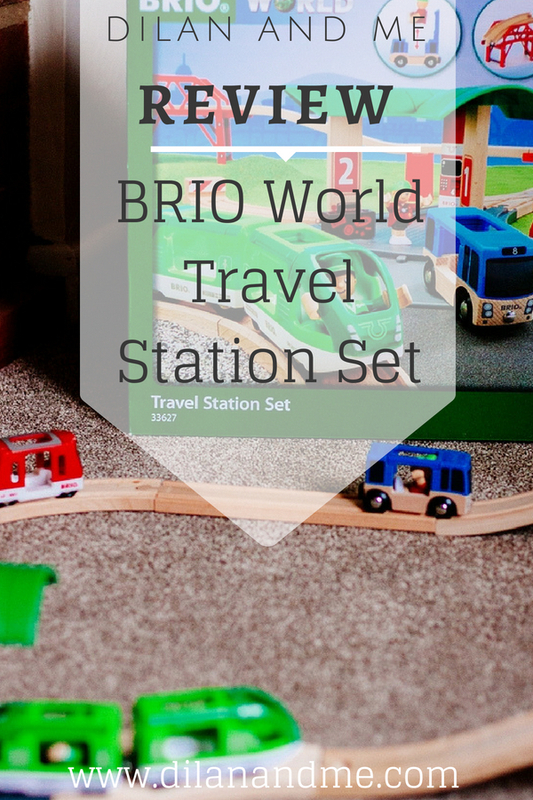 I’ve written before about how much we love BRIO World products, and we are back again today with a new addition to our BRIO train set – the Travel Station Set. We were very kindly sent this to review by BRIO along with the Cargo Transport Set which I’ve already reviewed, and you can see both products in our recent YouTube video below. As you can see the Travel Station Set comes with four lovely little trains and two BRIO people, plus track pieces, a little car park and ticket station area, and some bridge pieces which raise the track up. 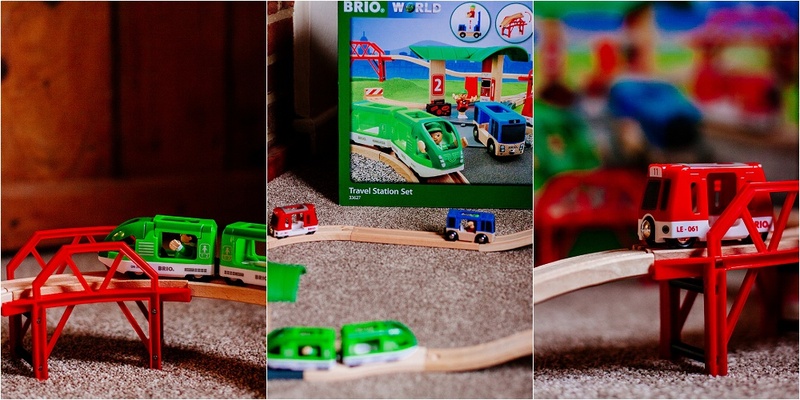 As with all BRIO World products you can play with this completely on its own, or you can add it to an existing train set collection to create even bigger tracks and new worlds to play with. The BRIO track is compatible with lots of other high street train sets too which is great if you have a mix of different brands at home already. We have quite a large collection of BRIO now (we have a whole cupboard dedicated to the stuff..) and this set is definitely more difficult to build than a lot of others we have because of the raised tracks. I did find that it was a little fiddly to do as the track pieces had to be in exactly the right place for it all to stay up. I don’t think that Dil would manage to build this by himself just yet without getting a little frustrated, but I do usually help him set up a track before playing any way so that’s fine. Once built it feels pretty solid and it’s the usual high quality you expect from BRIO products. 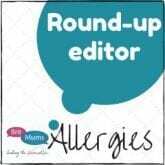 As Dil is now 4.5 he definitely has an increased interest in small world/role play type games and activities. He will often immerse himself in a track for a while, working on a different task or mission with the trains and figures. He really enjoyed this track as it’s a little different from the other ones we have, and he really liked pushing the trains down the slope! He played with this track on its own for quite a while and then used our battery operated BRIO train (shown in the video) to push the other vehicles around it – developing his own little narrative and story lines. I think that this type of play is great for engaging their imagination, exploring ‘real world’ scenarios and environments, as well as improving their communication and problem solving abilities. 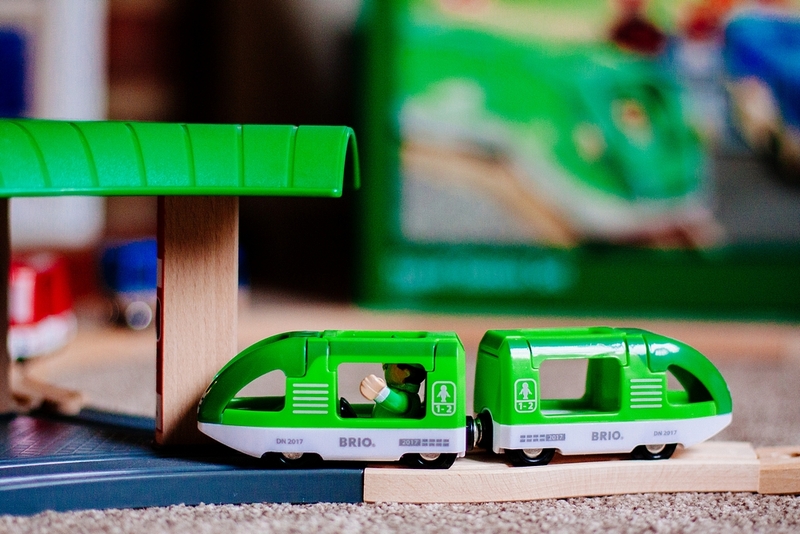 As with all BRIO products this set is ‘sibling safe’ – meaning that there are no small parts and older children can play around their younger siblings without any danger of them getting hold of a dangerous easy to swallow pieces. 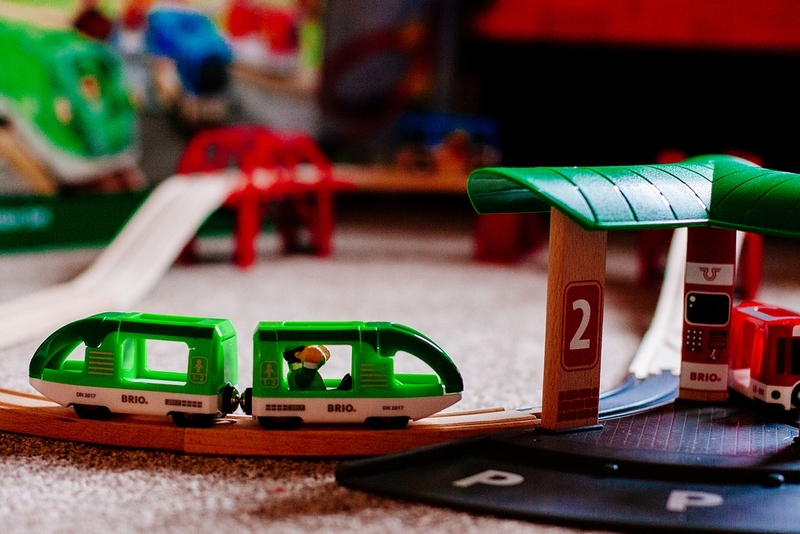 BRIO train sets are aimed at children 3+ but I’m sure that younger children would also get plenty of enjoyment from them when playing under supervision. I also know quite a few adults who get a lot of enjoyment from playing with our BRIO train sets, so it’s suitable for the young at heart too! The BRIO Travel Station Set usually retails for £79.95 but it is currently on Amazon for £68.40 and I’d always advise shopping around for the best deals on BRIO. Some of their sets are pricey but these are the kind of toys you will end up passing down to siblings and then grandchildren, the quality really is that good.